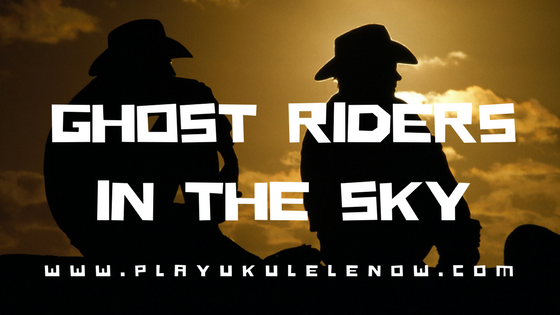 The song tells a folk tale of a cowboy who has a vision of red-eyed, steel-hooved cattle thundering across the sky, being chased by the spirits of damned cowboys. One warns him that if he does not change his ways, he will be doomed to join them, forever "trying to catch the Devil's herd across these endless skies". ​Jones said that he had been told the story when he was 12 years old by an old cowboy friend. A capo is used to change the key a song is in, either to make it easier to play or to make it a bit higher so it's easier to sing to. Don't have a capo, no problem, you might call this a poor man's capo. Here's a neat trick to make a capo out of things you have around the house. 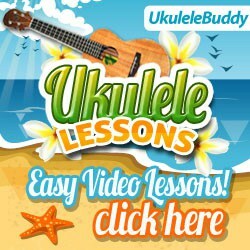 ​You will need to push down the strings behind the second fret for the song below. 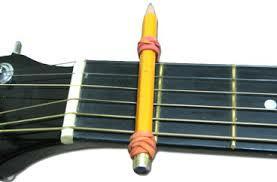 As pictured below, you can place a pencil just behind the desired fret and use rubber bands to keep it in place. The pencil needs to be held firmly enough against the strings so the all of the notes sound clearly, so make sure the rubber band is nice and tight. Place the pencil just behind the second fret for this song. It will then be in Bm. 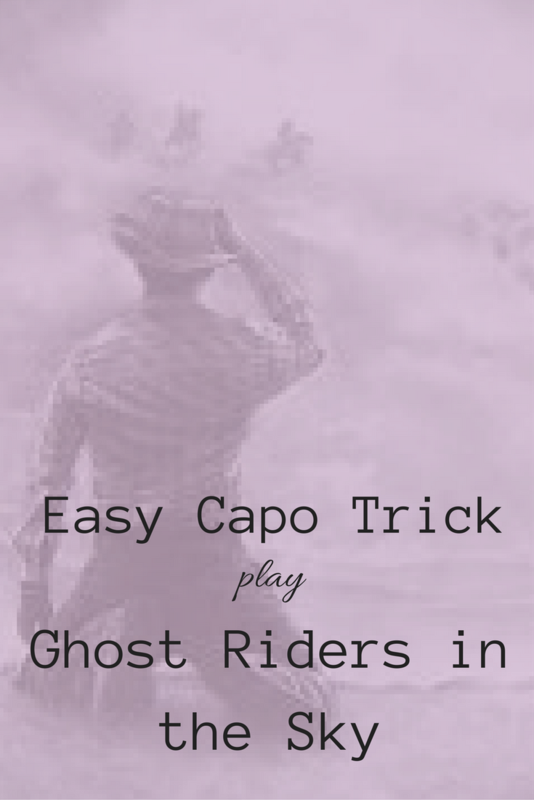 You can also play it in Am without a capo. And (Am) up a cloudy draw. 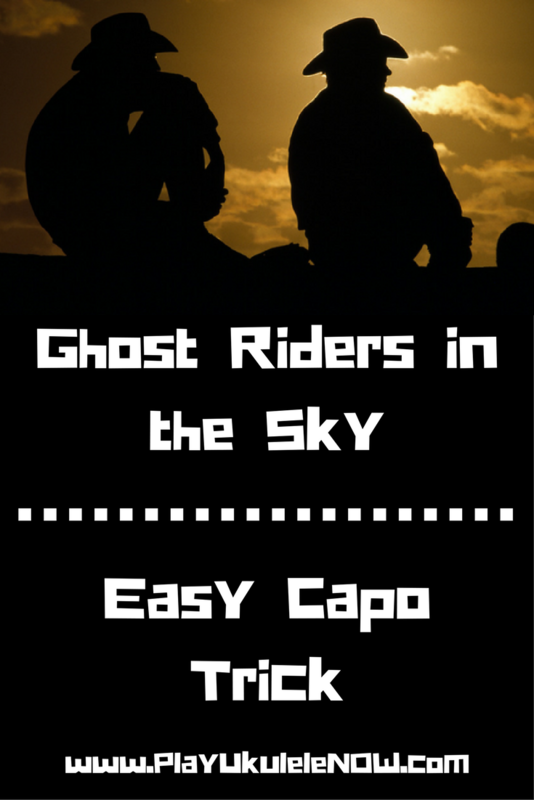 (F) Ghost Riders in the (Am) sky.